⬅ Why do we accept worry as normal? Temptation is a universal battle. We all know what it is like to engage in that conflict. I learned a lesson recently that will help. You don’t want to do stupid things in life but the one advantage to making a lot of mistakes is that you learn a lot of lessons. I just learned a big lesson about temptation from a gas can and the resulting inferno. I was taking some trees down on my property and made a brush pile from the branches and scraps. We still have snow on the ground in Northern Michigan and I thought I would burn the pile before the snow was all gone. Since the branches were not dry, they would not burn easily. I felt they would need a little help, so I went and got the gas can and doused the pile. Being well aware of the danger and flammability of gas, I was very cautious to light the pile from a distance. After several failed attempts, I finally got a little fire started. Unfortunately, it quickly died out. I was surprised at how difficult it was to get my gas covered pile burning. I thought gas was supposed to be explosive. Maybe all the warnings that I had heard were wrong? Maybe all the stupid videos of people lighting the world on fire by starting a fire with gas didn’t apply to me? I returned to the pile and started putting more gas on the brush, but there was still a small flame burning somewhere in that pile and in a moment I was engulfed in a burst of fire. I quickly turned away and covered my face with snow. Thankfully, the damage was limited to ringing ears and a singed beard. I felt like an idiot, but I learned a great lesson about temptation. Temptation is like gas and fire. I knew that gas and fire were a dangerous combination. I knew to be careful with it. Really…I did. 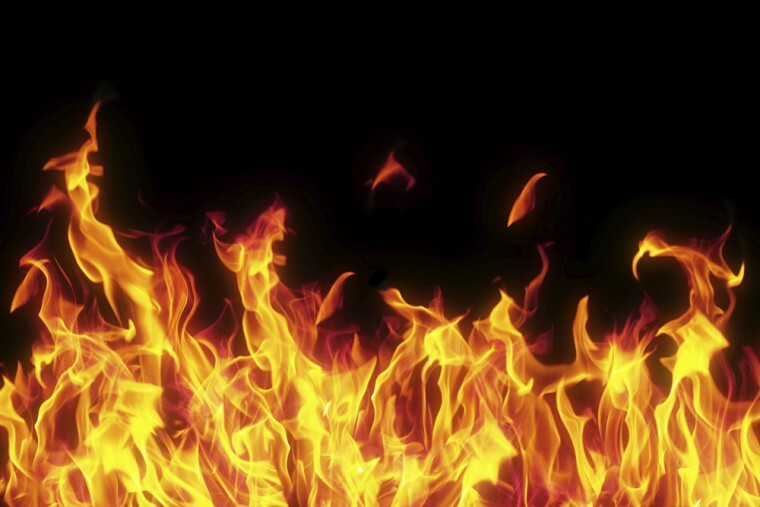 The problem was that I wasn’t experiencing the flammability of gas that I had been warned about. I couldn’t get that pile to burn. Maybe, the warnings were overstated. Ahhhhh…that is where I went wrong and that is where we can all go wrong with temptation. We play around with sin and maybe we get away with it. Maybe no one finds out. Maybe it was a good time. Maybe it seems like no one got hurt. Maybe it doesn’t blow up right away, but the laws that govern our world demand that it will. Sin always has consequences. They don’t always reveal themselves right away, but don’t let that lull you into a false sense of security. Somehow, we convince ourselves that we are different. We are the exception. Sin won’t harm us. And so, we throw some more gas on the fire. Don’t do it! Temptation will burn you. Sin will harm you. Only God’s way will lead to the life you want. 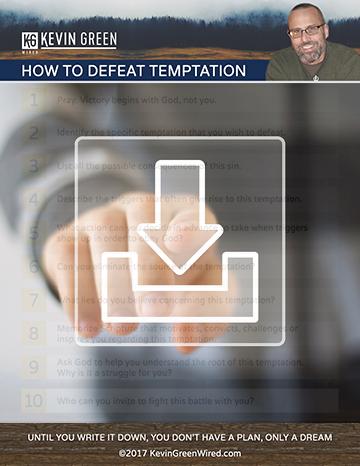 For more, here is a the best strategy I know to defeat temptation.